With its roots in rural life, protection of the countryside has always been important to the WI. 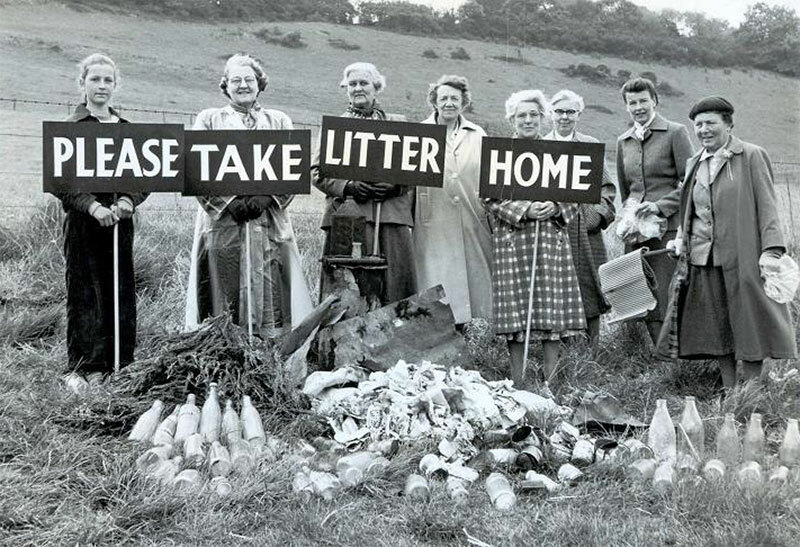 The issue of littering was first raised during an AGM in the 1920s; however, it was a resolution in 1954 that brought about one of the WI’s most significant initiatives. This resolution; proposed by Northumberland Federation’s Executive Committee, called for a campaign to ‘preserve the countryside against desecration by litter,’ and subsequently led to the formation of the Keep Britain Tidy group. The 1958 Litter Act was attributed largely to Keep Britain Tidy, and MPs thanked the WI for the role it played in transforming litter policy. Over 60 years later many WIs still take part in Keep Britain Tidy’s annual ‘Great British Spring Clean’ to bring people together and clean up their communities.